Recently we talked about our waterproof plastic finish, Smoothing Beautifier, which can be applied on plastic parts if you want them to be waterproof. But what about the water qualities of Nylon PA 12 and HP Multi Jet Fusion? In this blog post, we are conducting a waterproof plastic testing to investigate how our plastic materials perform, how waterproof are by themselves without special waterproof finish. Moreover, we compare the raw plastic 3D printed parts with the plastic parts that have undergone the Smoothing Beautifier treatment. Also, we will compare the water absorption percentage of each part to see which application from which it comes from fits your purpose of use. What is Nylon PA 12 3D printing material? Nylon PA12 is a synthetic white fine polyamide powder, more commonly known as plastic. 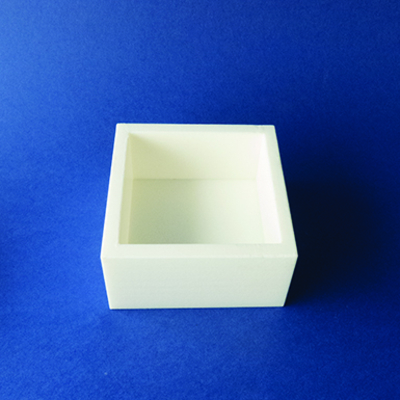 Nylon PA 12 is optimized for the use as a laser sintering material. Objects printed with Nylon PA12 are originally in white color and can be subsequently colored through dyeing or painting. The available colors for dye include: black, blue, yellow, red, green, beige, brown, pink and orange, while the available colors for painting include: black, mouse grey, yellow, red, blue, green, purple, orange, pink, beige, metal grey, gold and silver. This material is both solid and flexible, as well as strong in low temperatures. In addition, it has an excellent resistance to chemicals including hydraulic fluids, oil, fuels, grease, salt water, and solvents, dampens noise and vibration. In terms of water absorption, Nylon PA 12 absorbs very little moisture, is water-resistant but not waterproof. Thus the 3D printed object must not remain in contact with water for extended periods of time. If you wish to know more about the technical specifications of Nylon PA 12, you can find all the relevant information on this material data sheet. What is HP Multi Jet Fusion PA 12 3D printing material? 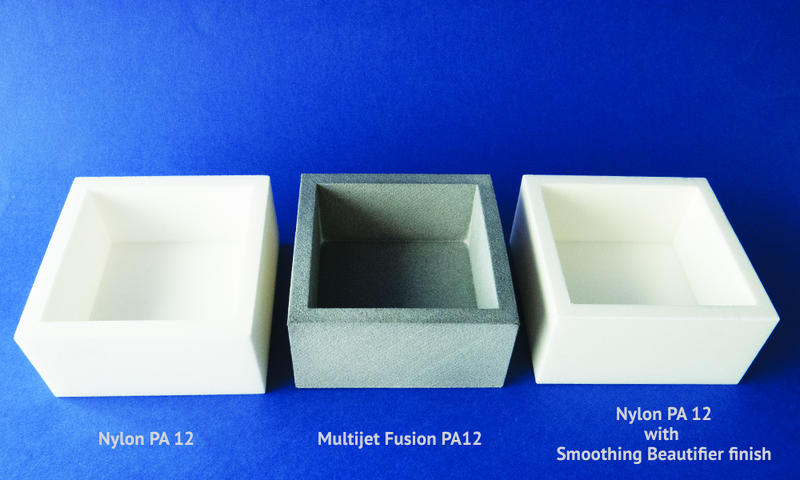 The Multi Jet Fusion PA12 parts are created from a fine polyamide powder. 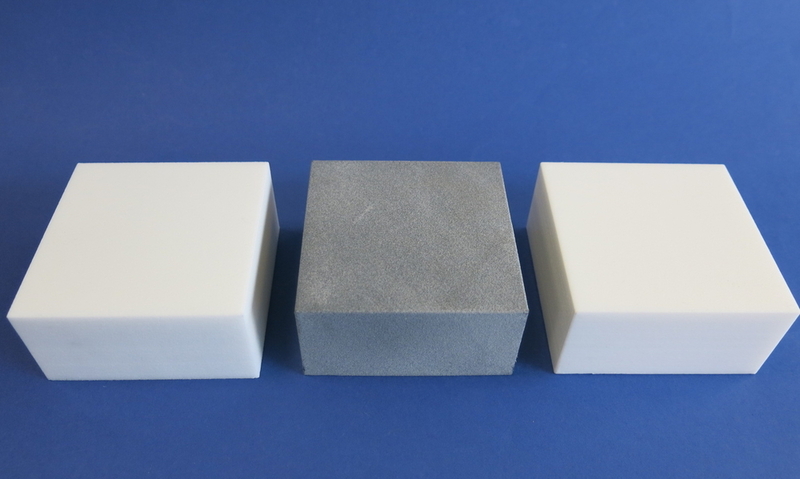 The material is characterized by good elasticity and high impact resistance. In addition, polyamide has an excellent resistance to chemicals, alcohols, fuels, detergents, oils and fats. The Multi Jet Fusion PA12 objects are well suited for applications requiring resistance to scratch and abrasion. It is also light stabilized, U.V. stabilized and stable to weather. 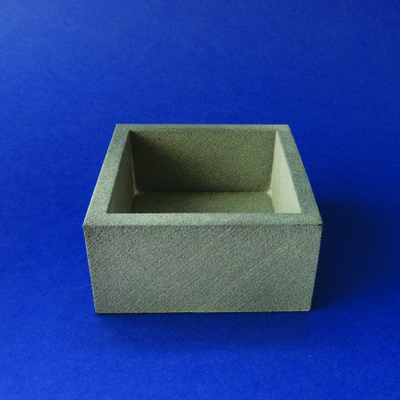 Right after the 3D printing process, the material is quite smooth itself and comes in grey color, as shown in the pictures of this blog post. Since this color option is not available on the website, you can contact our sales department for arranging color customisation of your order. You can also make great black plastic parts with it, as the parts can be furtherly dyed in black. In terms of water absorption, as Nylon PA12, Multi Jet Fusion PA12 is water-resistant but not waterproof. Thus the 3D object must not remain in contact with water for extended periods of time. If you want to get more detailed information on the technical specifications of HP Multi Jet Fusion PA 12 material, you can read this material data sheet. What is Smoothing Beautifier finish for 3D printed parts? Smoothing Beautifier is Sculpteo’s unique post-treatment finish, applied on our Nylon PA 12 plastic 3D printed parts. It’s a physico-chemical process that brings smoothing to every section of the object and works by sealing the porous surface of the 3D printed parts. In this way, the object gets a smooth and glossy surface and looks like a finished product. This patent-pending process aims at closing the gap between the surface quality of injection molded parts and 3D printed parts. Smoothing beautifier is not great only because of the aesthetic enhancement of the objects’ surfaces, but for its waterproof properties as well. SLS parts are water resistant but not waterproof. So, if your 3D printed parts, that are made of Nylon PA 12, are meant to be exposed to water for a long period of time, it is recommended that you apply the Smoothing Beautifier finish on them. For more detailed information about the waterproof property of Smoothing Beautifier, we invite you to read our recent blog post about waterproof plastic, as well as the Smoothing Beautifier portfolio blog post. The test took place at the Research & Development laboratory of Sculpteo and the same procedure was followed for all the three boxes. Each box was dipped in a bowl of water, left immersed for some hours, and then the surface water was wiped off and weighed. The test was repeated three times for reliability reasons. (a) The first time, each box was left in a bowl of cold water (22°C) for 6 hours. (b) The second time each box was dipped in a bowl of hot water (52°C) for 6 hours. (c) During the last part, each box was dipped in a bowl of cold water (22°C) for 48 hours. The test was conducted using both cold and hot water (test parts (a) and (b)) because of the difference in surface tension in each temperature (the higher the temperature, the lower the surface tension). Though, since the water could not be maintained hot for 48 hours, the last part of the test (c) was conducted only in cold water (22°C). After collecting the data the tests gave us, we compared them and we reached some conclusions. One of the conclusions we came up with, is that the Nylon PA 12 part, the HP Multi Jet Fusion PA 12 part and the Nylon PA 12 with the Smoothing Beautifier finish, are all water-resistant. From the first two rounds of the test ((a) and (b)), we figured out that there was a negligible percentage of water absorption (2%), so the parts can be considered water-resistant. As for the third part of the test, where the three boxes were exposed in contact with the water for a longer period of time ((c) 48 hours), we figured out that the water absorption percentage was higher than before. The parts that were affected were the Nylon PA 12 and the HP Multi Jet Fusion PA 12 one. The Nylon PA 12 with Smoothing Beautifier finish did not absorb almost any water (the percentage was less than 1,4%), so it can be considered as waterproof. Taking this into consideration, we can say that both SLS and HP Multi Jet Fusion 3D printers give water-resistant parts, but not 100% waterproof, result which is coherent with the instructions on the website. On the other hand, the Smoothing Beautifier finish is more recommended if you wish to expose your 3D parts to water for longer time. Even if HP Multi Jet Fusion has a lot of advantages over other plastic materials, it cannot be post-processed with the Smoothing Beautifier finish yet. This post-treatment is only available for our Nylon PA 12 parts, which is available in white plastic, and in white plastic dyed in black. However, these results are only indicative. Before uploading your file for 3D printing, it is always better to check the properties of the material you will use. Each material page contains information about its mechanical properties and technical specifications which we strongly advise you to consult.